XtGem revamped the web template design! 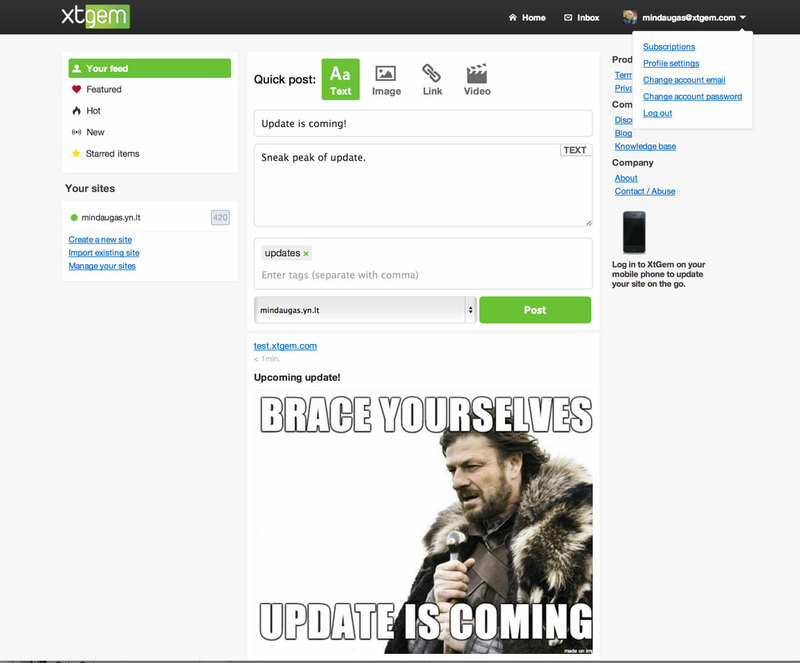 XtGem desktop users will notice the new update indeed! Live today (or yesterday, I am not so sure) XtGem launched a redesign on the web template on XtGem. It seems XtGem is really focusing on redesign in some ways! A month ago, they released a redesign on the mobile template. Maybe the touch version next? Who knows.. Let's wait and see the outcome of XtGem in the days to come. Now let us see the new features on this update! 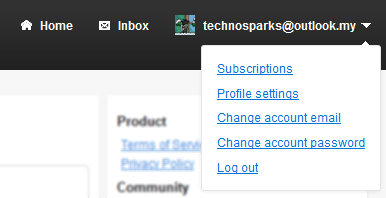 Your subscriptions right on your main panel! - This new design will ultimately view your subscriptions directly! No more missing updates from the site you love, even from this blog! See feeds blazingly easy - The power is in your hands to ultimately view other feeds other than the one you have been subscribed to! 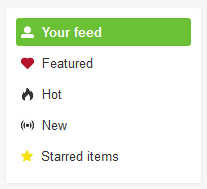 With the menu on the left, you can choose to see Hot posts, new, or the ones you starred! 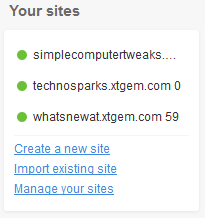 Open any of your sites with ease - Your websites are listed right under the feeds selector! Upon selection, it will automatically create a new tab and then open the web app editing your selected website! A finishing touch on the header - The new header design is quite the same however, I really like the new icon and the "touch" they left on the links. Plus, there is a drop down! Now you can really feel the true "web" template, in XtGem! If you are not getting the update, try to clear your cache and try again. XtGem released a new handy function! It now allows you to schedule blog posting at a specific time! With such feature, you can now sleep soundly knowing that your scheduled post will be automatically handled by XtGem. This feature might be great for someone who posts periodically and also would like to stay posting the way he/she like to. 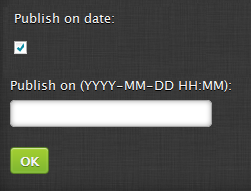 In the web template of XtGem, once you ticked the "Publish on date:", you will be presented with a text box. By clicking on it, there will be a date picker! But don't worry you can still enter the values by your own. This feature are also available on mobile templates, so do not feel worry about it! I like this one because I can now post "Fortnight Updates" easily. How about you? What do you think about this new feature? Tell me in the comments! There is this previous post, called "Fortnight Updates" you might want to read it to see what's new!